Julia Roberts, a movie star that needs no introduction, is saying goodbye to her Greenwich Village apartment. Asking for $4.5 million, this three-bedroom, three-bathroom penthouse doesn’t come cheap. Her and her husband Danny Moder, Emmy nominated cinematographer/camera operator, have decided to cut their ties in New York and relocate to Los Angeles. Looking at the apartment, it is clear that she likes a laid back, California-style home. The 2,000-square-foot apartment is located between 6th and 5th avenues and features huge windows that span the entire apartment, soaking the open floor plan in sunlight. To add to the SoCal feel, the spacious terrace has an amazing view of the city and allows outdoor living in a city where that is unheard of. Other features include a large gourmet kitchen, a wood burning fireplace and hardwood floors. Check out the listing for your viewing pleasure (and imagine yourself sprawled out on the couch watching “Pretty Woman”). Roberts still has an apartment in New York City at 7 Gramercy Park West that she has had since 1993 and seems to have no intentions of selling it. According to the New York Post, the property is currently being rented out and will hopefully serve as a landing pad for her future N.Y.C. endeavors. With multiple properties in California and New Mexico, the actress and her family clearly enjoy the West Coast lifestyle. 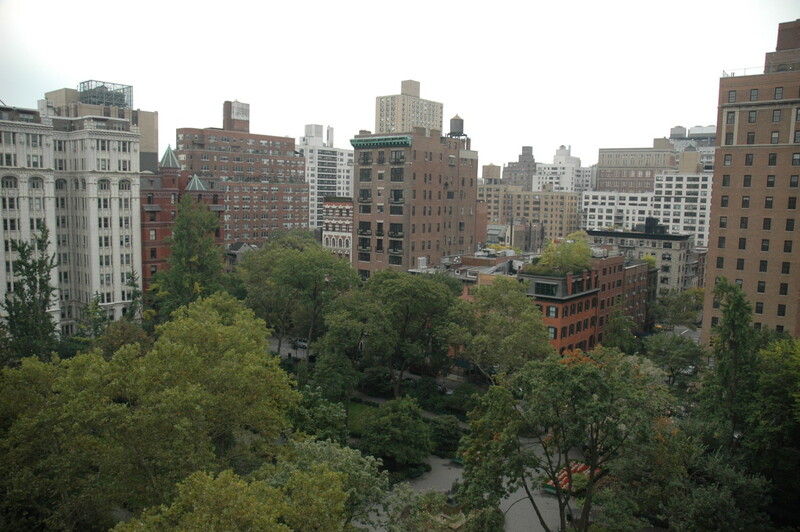 Roberts initially bought the penthouse at 45 West 10th Street in 2010 for $3.89 million. Over the years, she has incorporated light and airy pieces to enhance the beachfront aesthetic, along with top of the line appliances.